Ollie went home and he put away his costumes. He put away his capes. He closed the door on the special world he created and said goodbye to all the friends only he could see. Ollie was going to be â€œnormalâ€� - no different than all the other kids in the world. No one would ever laugh at him again! But Ollie had a problem. Ollie wasnâ€™t LIKE all the other kids in the world.Ollie was born to be different! 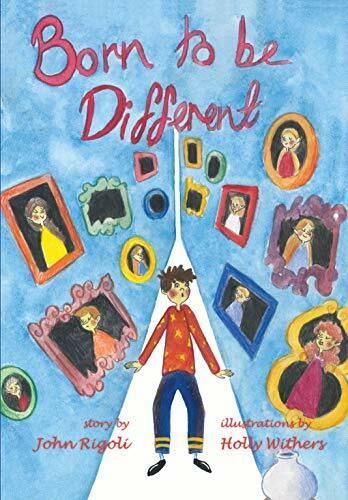 "Born to be Different" is a love-letter from a doting grandfather to his beloved grandson - and a welcome reminder to all the kids in the world that being different is exactly what makes you so very special! Born to Be Different! : For all the special little kids in the world!